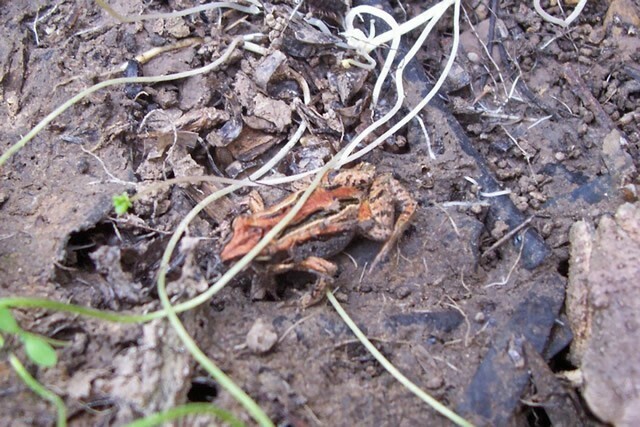 The Common Froglet is by far our commonest frog. Its cricket-like "creek creek creek" is heard all year round & almost anywhere there is water, with vegetation cover. However, it is not heard in new, artificial wetlands with muddy water, bare rock walls & no vegetation. 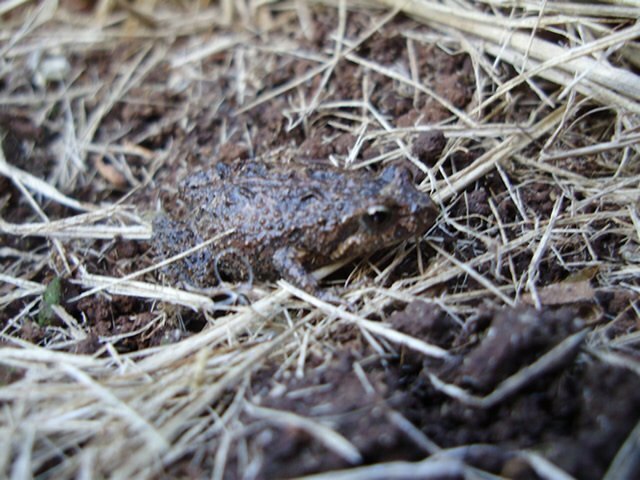 Common Froglets can be calling from anywhere in Melton that has water, easily recognised by their calls. Despite their small size (2 cm) their call is quite loud. As these photographs taken locally show, individual froglets show an almost infinite variation in their colouration, although the basic pattern remains quite similar. They also appear to be absent from isolated wetlands that have been dry for very long periods, like the remnant wetlands around Rockbank. 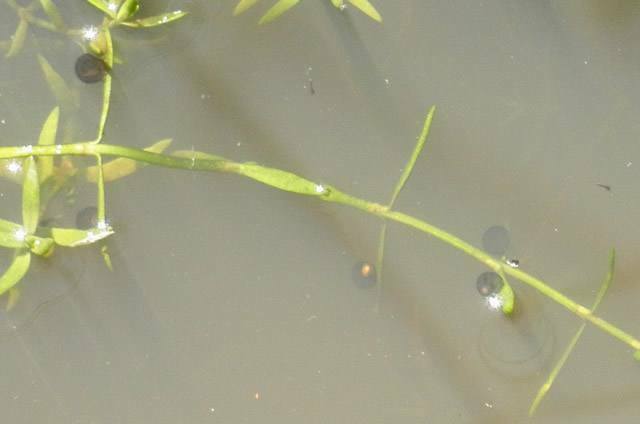 Their eggs are laid singly in submerged vegetation.